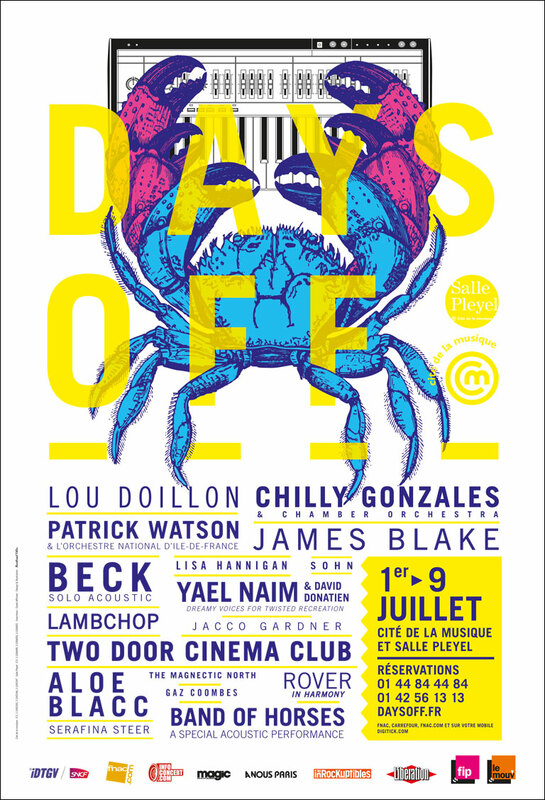 Part of the weeklong Days Off Festival in Paris. Advertised as solo acoustic, Beck did however have a piano player (Vincent Taurelle) and a bassist (Rory McCarthy) with him. They play with Beck for the first seven tracks, and then again at the end. After a few other things, Beck's small band then come back out for some more stuff, and maybe the highlight of a show: "Sissyneck" turning into "Billie Jean," "Scarecrow," and "Get It On." Beck's wife and son come out briefly to dance during this (and Beck sings "the kid is not my son (but THAT one is)" on "Billie Jean"). After that, the band (who they decided to call Morocco) leaves again and Beck plays "Sunday Morning." Nicolas Godin from Air plays piano with him on this. 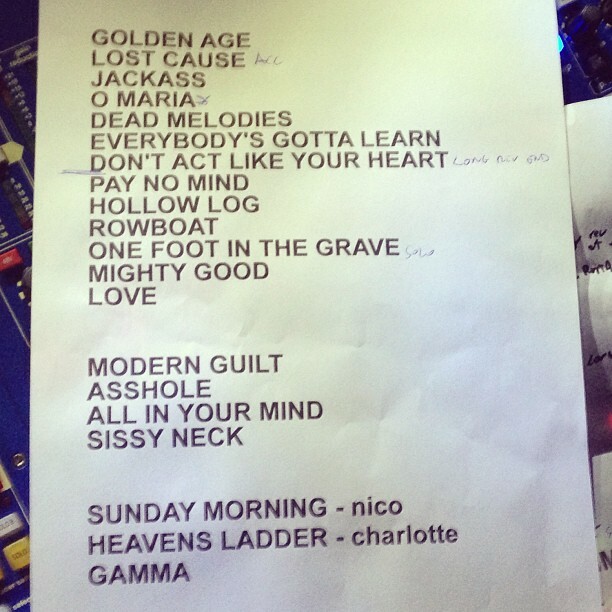 The setlist amusingly says "Sunday Morning (with Nico)" but it's not the Nico who sang it with Velvet Underground. After that, Beck's next French friend, Charlotte Gainsbourg, comes out to sing "Heaven Can Wait" with Beck (a song they wrote together for her album). Strangely, the setlist says "Heaven's Ladder" here. First "O Maria" since 2003! First "Rowboat" and "Mighty Good Leader" since 2006! First "It's All In Your Mind" since 2005! The most he's ever performed of "Billie Jean"! First time he tried "Get It On" though just a chorus. seven songs from One Foot/Stereopathetic/Mellow Gold!